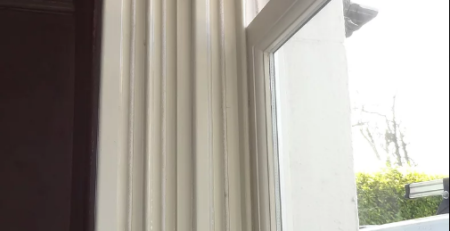 If you have sash windows and you live in the UK then you have probably heard about the possibilities of replacing 4mm glass with a slim-line double glazed unit to upgrade your single glazed sash windows to double glazed sash windows. If you have not then I will explain. The idea first came to fruition around 12 years ago but didn’t become popular due to technological limitations of double glazed units at the time making it near on impossible to hide the old fashioned large double glazing spacer behind the inner moulding of each window. Glass companies soon exploited the initial idea and came up with new double glazed units with much smaller discreet spacers and very slim units that had all the same thermal benefits of traditional double glazed units. This new line of slim-line double glazing has now made it possible for property owners to double glaze existing sash windows in period houses without compromising the properties original architectural heritage. People living in conservation areas that previously could not have double glazed sash windows due to the massive change in the appearance of the window can now do so without stepping on the local conservation officers toes! This development has seen a huge rise in the amount of companies providing this service and as you might imagine there are also many chancers trying their hand at doing it too! Be warned if the process is not done correctly or the wrong glass is used you may end up with sash windows that end up falling apart a year or two after the work is done, or if the gaskets are exposed to sun light and not properly hidden behind the beadings of the window they will degrade and you will have misted up windows. It is far better to have the windows inspected by a reputable sash window company like Mortice and Green first to confirm suitability and then make sure the company carrying out the sash window work knows what they are doing and is using the correct materials and glass. There are other options to upgrading your sash windows that are comparable in price and in some ways better too. One way is to have the fixed box frame fully restored and have reproduction sash windows manufactured to replace the old single glazed windows. The new sash windows should be identical in every way other than the fact they will have been designed for slim line double glazed units as opposed to 4mm glass. Once fitted, the replacement sash windows will provide the same level of thermal protection as complete replacement sash windows, with far less costs and hassle than replacing the entire box sash window. You should also remember that a double glazed sash window that is fitted into a box frame that is not properly draught proofed is not going to be any better than a single glazed sash window! The double glazed window relies on the window to be properly insulated against draughts. If you are considering having reproduction sliding sash windows made then why not give us a call? We can double glaze your existing sliding sash windows or if you prefer we also manufacture solid Oak double glazed reproduction sash windows as well!